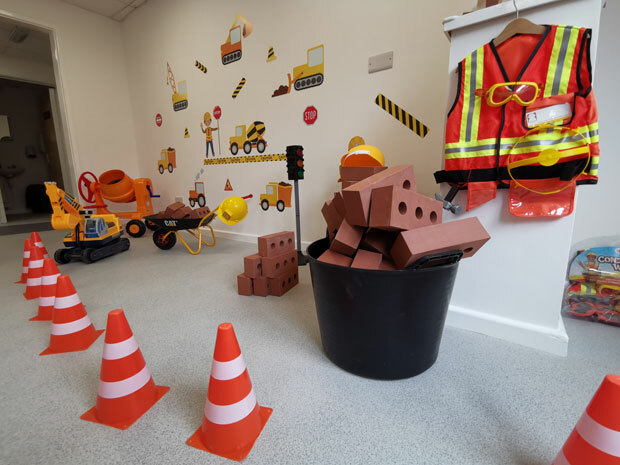 Dinky Street opens its doors in April 2019, promising hours of imaginative play to children in Gloucestershire, as the first centre of its kind in the county. 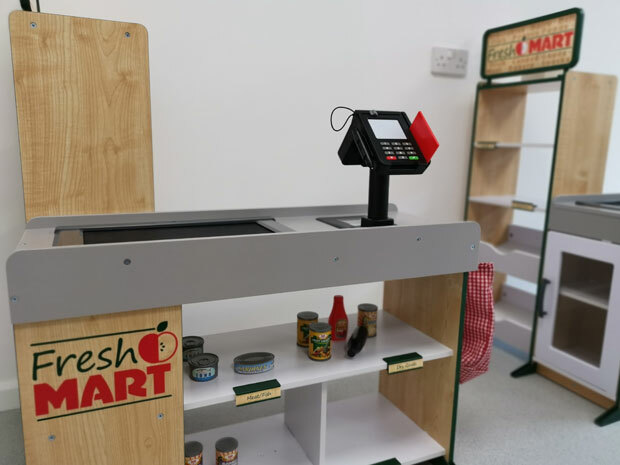 The shop even comes with a till scanner that really beeps! A separate area is reserved for babies. 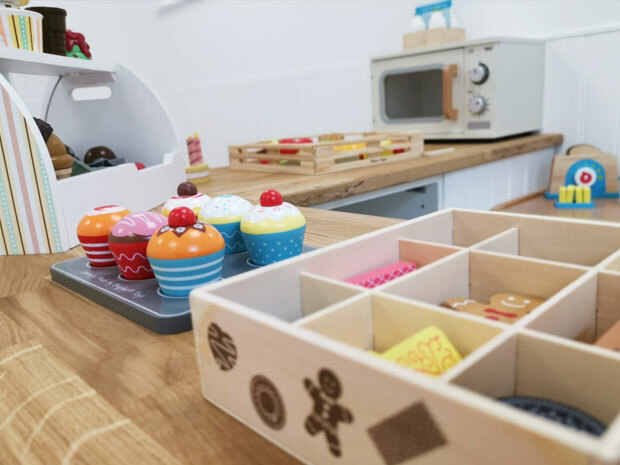 A real-life cafe serves up coffee and cake. Get well soon with the Dinky Street doctors’ surgery. Get building in the construction room. Budding hair stylists will love the salon at Dinky Street. 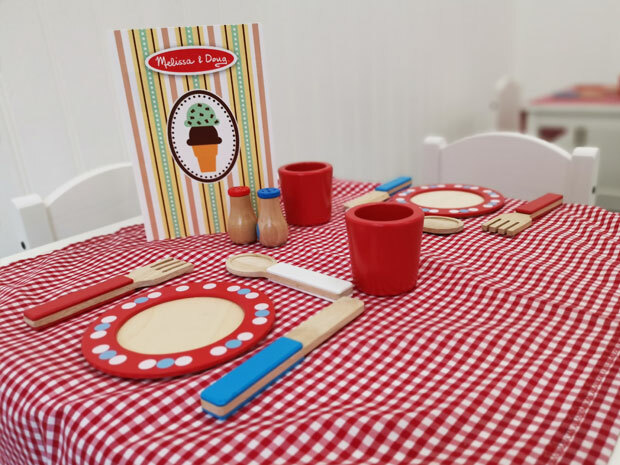 Opening to the public on Monday 8 April 2019, Dinky Street is revolutionising pretend play in Gloucestershire with its new play centre in the heart of Bishop’s Cleeve. 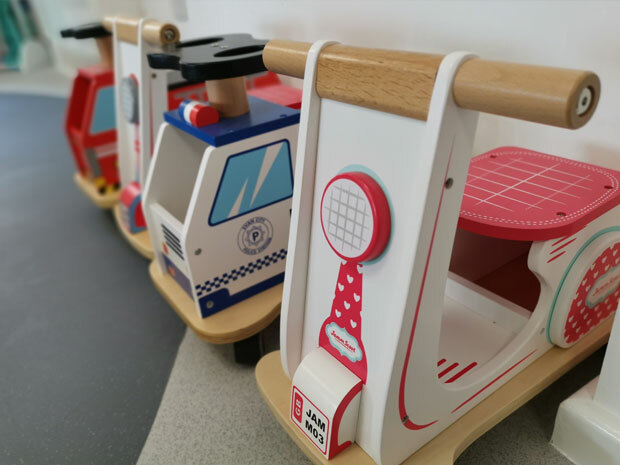 The role play centre has designated spaces for children to become a doctor, hair stylist, café owner, police officer, or even deliver the mail. Taking us around the centre for SoGlos’s exclusive first look inside the brand-new business, business partners and directors Louise Moore and Michelle Simpson explained why they wanted to start the business: ‘We’ve got five young children between us and we’re always looking for exciting places to visit. Starting the tour, we removed our shoes at the door and walked into the light and bright café area, serving up a range of cakes and hot drinks. Adorned with a chalk board wall for kids to get creative, it’s clear that good old playtime is well and truly encouraged at Dinky Street. Housed inside Bishop’s Cleeve’s former doctors’ surgery, Dinky Street maintains the previous layout, with each consultation room transformed into a different world, awaiting the imaginations of Gloucestershire’s children. Playtime begins with the safely cordoned baby area, which is surrounded by some dinky bikes, a post-box, small stage for impromptu performances and a well-equipped dressing up rack. 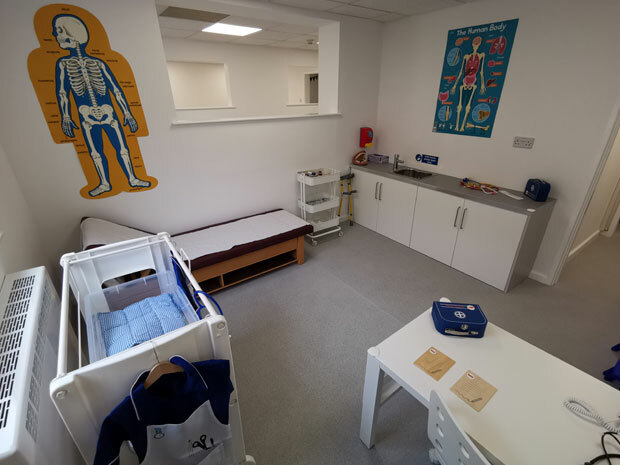 As children progress through Dinky Street, they’re met by a doctors’ surgery complete with plastic syringes, examination bed, and a light-up x-ray machine. 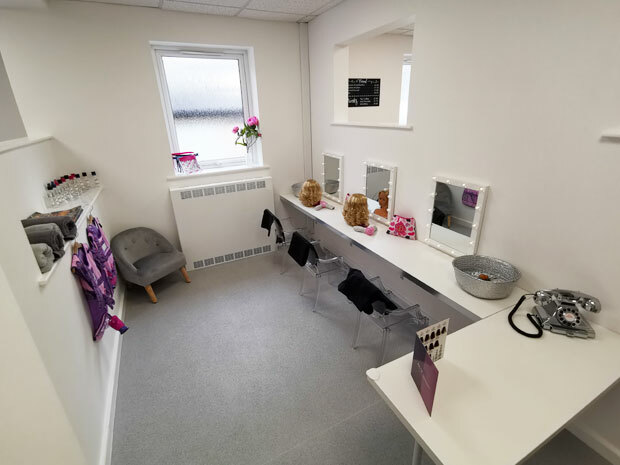 Next along the street is the hair salon, featuring comfy seats while you’re waiting for your big restyle, and Hollywood-style mirrors for the big reveal! Children who love the emergency services can dress up as a firefighter or police officer. There’s even a jail for those who want to play the baddie! Plastic bricks are on hand for children to build huge towers in the construction zone, while in the nearby supermarket the tills really do beep as products pass underneath the scanners! If all that play has worn little ones out, they can kick back with a cup of ‘coffee’ and a cake from the dinky café. Dinky Street will be open seven days per week from 9.30am until 5pm, with sessions lasting 90 minutes. It’s designed for babies and children aged seven and under, but the final session of every day will be open to older children up to the age of 10. For more information call Dinky Street on (01242) 676064.